Found a really cool profile on Flickr. 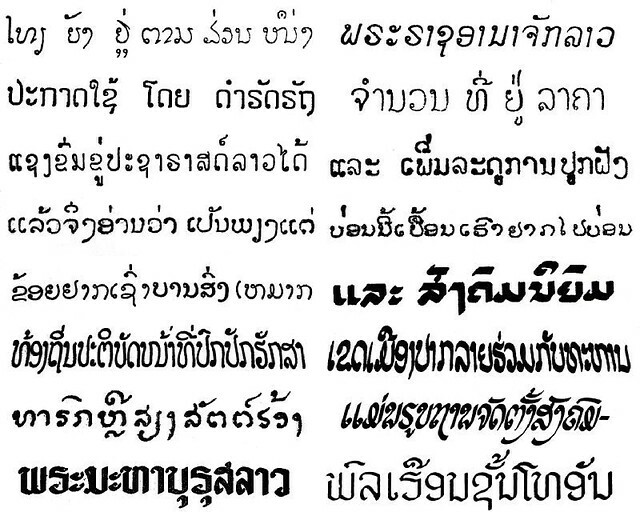 Whoever created this has compiled images of different Lao writing, fonts, styles and typography from a variety of sources including signs, documents, computer generated fonts, license plates, many from past to present and some are handwritten or hand painted. Have a look below. 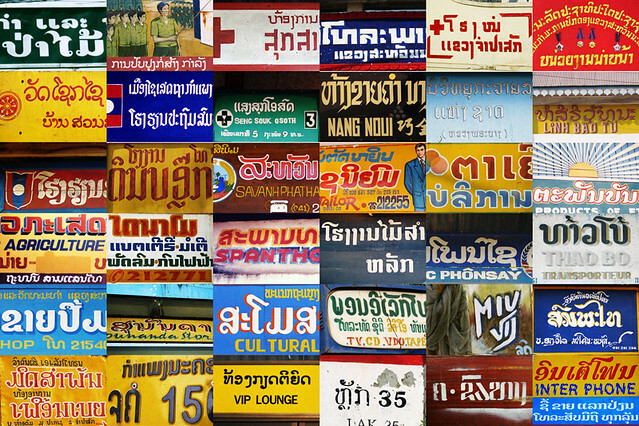 Typography & Lettering Wonders From Laos.